10% DISCOUNT on the price! 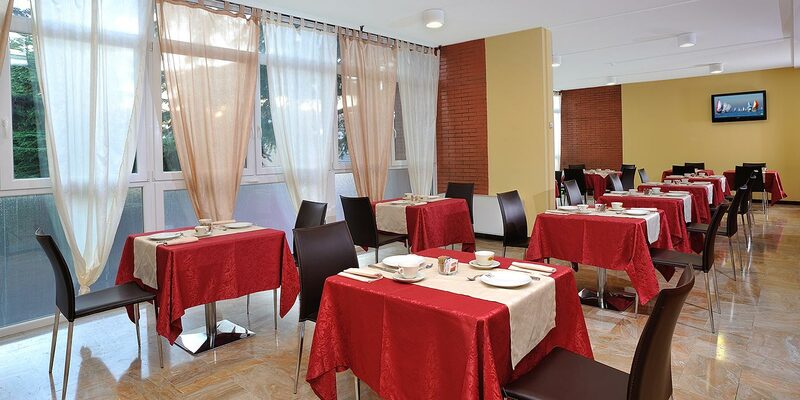 Among the hotels situated in Urbino, the 3-Star Hotel Piero della Francesca represents a convenient solution for those who are seeking accommodation close to the city centre. In fact, the city centre of Urbino is a UNESCO World Heritage Site and for this reason, it is not possible for you to park there. 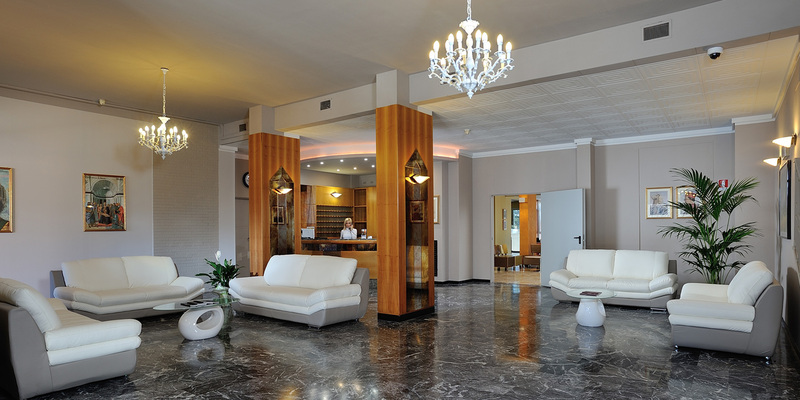 Therefore it is better to park a short distance away, at only a 15-min walk away, in your hotel close to the centre. We always welcome you with a smile when we perform our duties. We carry out our work with passion and enthusiasm, always willing to give you advice and provide you with tourist itineraries in order to show you what there is to visit in Urbino and the surrounding areas. 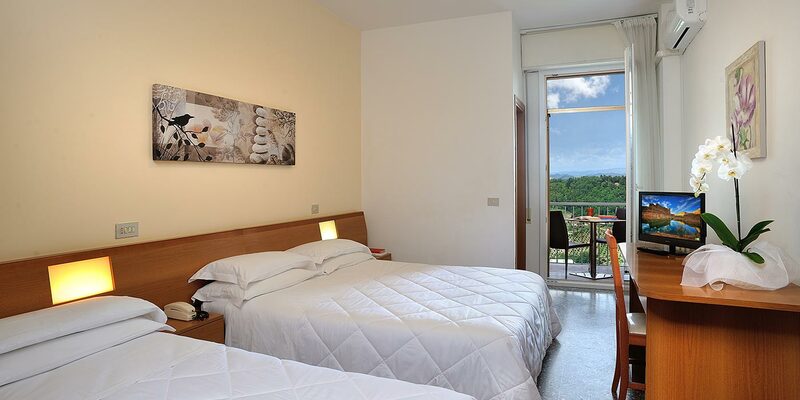 At the Hotel Piero della Francesca there are several large rooms which have been furnished in a linear and comfortable style. 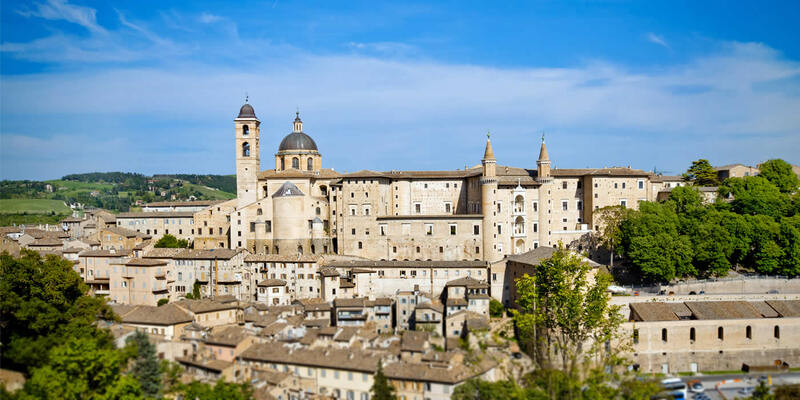 Immediately outside the hotel, you just have to get on the shuttle bus or you could opt for a pleasant stroll in order to reach the city centre of Urbino in just a few minutes. It is there for you in the morning, when you will be able to enrich your breakfast with a delicious cappuccino or espresso coffee. It is also at your complete disposal during the rest of the day for you to drink a toast on a special occasion or to enjoy an aperitif.
" A typical Italian hotel of about the 1970's. Clean, convenient, and comfortable enough if you are willing to deal with the shower situation (tub with hand shower only) and the famous matrimonial bed (2 twins made up together). It was quite inexpensive. The decor is very plain and basic. The breakfast is quite acceptable. Our room had a balcony with a view of the countryside - very nice! The walk into town is fine and only takes about 10 minutes. Convenient parking is free and right behind the hotel. The staff were all pleasant and friendly. They do not speak much English, but we didn't find it a problem (our Italian is minimal). "